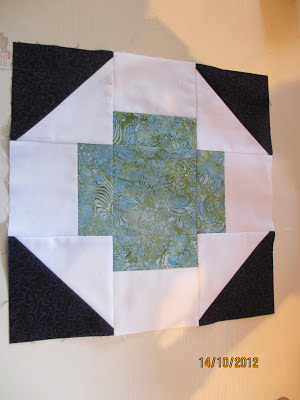 Here are the blocks I've made so far for the Craftsy BOM. I'm up to July now, so hope to get August, September and October done before the end of the month. I've spent ages trying to make a collage and have given up in disgust! Your blocks look great. I'm so jealous that your round blocks are done. I think the next ones are stars and they shouldn't be too bad. The link above is how I've managed to do some collages with picasa. If I could do it I'm sure that you can. It's a free program. Guess I better get going on the Dresdens. You're getting ahead of me. Wow! Every one of these is colorfully spectacular, Amanda. Terrific blocks. 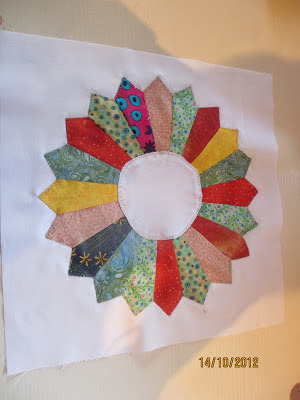 I really love the Dresden with the spokes, and the hexi tree! A finished quilt - and it's huge!